Revolutionary change in Eastern Europe and the Soviet Union; civil strife in the Balkans; the heavy burden of German reunification; war in the Gulf and its dramatic aftermath; the completion of the internal market in 1992 and the management of two highly complicated Intergovernmental Conferences -- more than ever before its history, the European Community has to operate strong pressure. 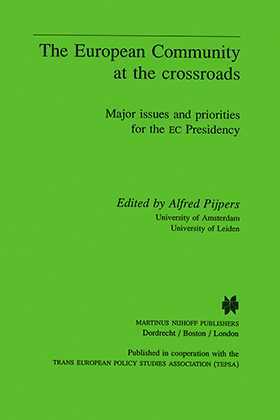 This volume captures these problems in a systematic way and presents suggestions as to how the Twelve could cope with them, using the Dutch EC-Presidency as a reference point. the politics of Economic and Monetary Union. The chapters are written by experienced specialists from both the international academic world (economics, international relations, European law), as well as from the European institutions. Together they provide a comprehensive and unique survey of the profound challenges confronting the European Community in the early 1990s.